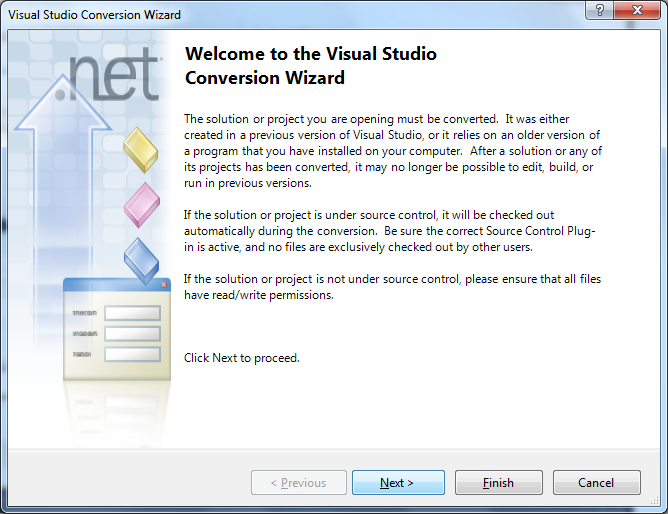 If you try to use Visual Studio 2010 RC to open an existing ASP.NET MVC web site that was built on ASP.NET MVC 1.0 under Visual Studio 2008, you might expect it to be converted and to open successfully. That’s what I expected, but that did not happen. 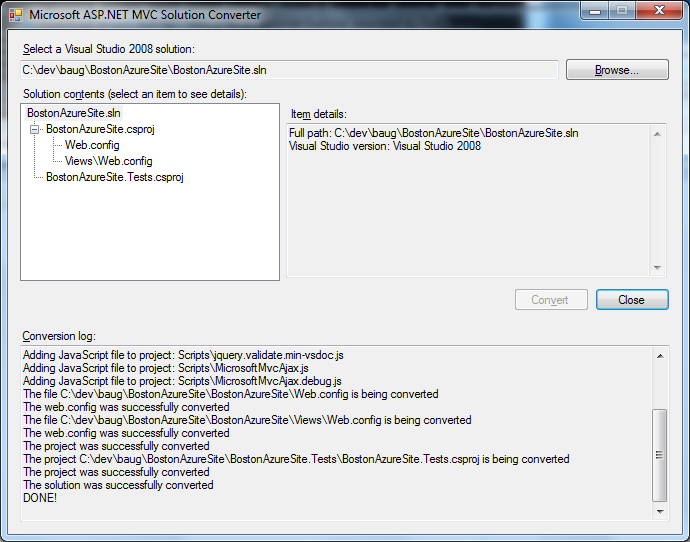 Visual Studio 2010 gave me conversion errors. But.. there is a straight-forward way to migrate your ASP.NET MVC project from Visual Studio 2008 to Visual Studio 2010 RC. Since I wish to deploy this site back to a host with .NET 3.5 SP1, I chose No. I am willing to live with deploying the ASP.NET MVC RC 2 bits, but not so with .NET 4.0 as I don’t have control over that (I deploy onto a shared server). This entry was posted in Programming on March 2, 2010 by Bill Wilder.